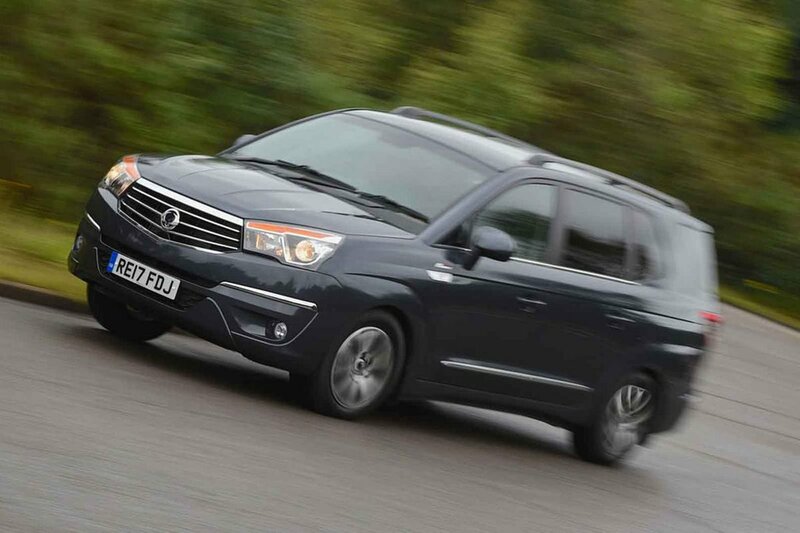 Ssangyong Turismo Performance, Engine, Ride, Handling | What Car? 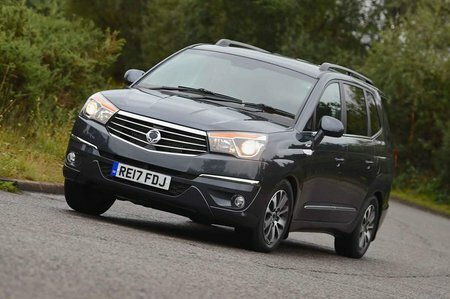 For all the praise Ssangyong attracts for its competitive pricing, the Korean manufacturer has yet to make a car that is especially good to drive. The Turismo is no exception to this. All versions are powered by a 178bhp 2.2-litre diesel engine, which is just about powerful enough to make progress predictable if a little frustrating. Being of considerable bulk, there’s enough low-end pull to drag it off the line, but it’s difficult to pick up speed with any real urgency; and when you do, there’s not much dynamic satisfaction to be gained in return, with body roll being very noticeable through corners. There’s precious little feedback or weight from the slow steering. Around town, this isn’t really an issue. In fact, it’s a positive that such a big car is actually easy to steer around congested areas or into tight parking spaces. But when you pick up speed, the steering fails to weight up. The suspension is very soft, which results in a generally compliant and comfortable motorway ride, but a jittery one at low speeds. However, regardless of your pace, any imperfections send a heavy and loud jolt through the cabin. There’s a choice of manual or automatic transmissions, and while we have yet to try the manual, we’d wager that you’re best off picking the automatic. It’s slow to shift but smooth enough for gentle use – which is how the car should be driven – and, thanks to having seven speeds, it helps keep the engine quiet at a cruise. But any acceleration brings out an agricultural roar from the diesel unit. The Turismo is rear-wheel drive as standard, but top-sepc ELX models can select permanent four-wheel-drive traction in high or low-ratio modes (the latter being for low-speed off-road use only). Of course, driver engagement isn’t the be-all and end-all in the MPV class, but there are others that offer far better handling and are more comfortable to drive than the Turismo, including the Ford Galaxy and Seat Alhambra, but they do command a much higher price.